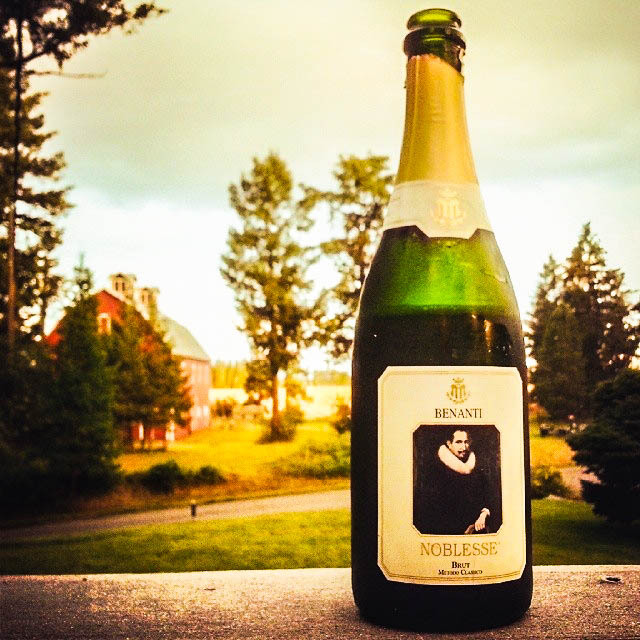 I had the pleasure of tasting this bottle, Benanti’s Noblesse, a few weeks ago after we found it thanks to Dan Pirelli, at the Wine Hotel in Los Angeles. 100% Carricante grapes, 100% Etna. Who says great sparkling is only made with Chardonnay?! Crisp and yeasty with a great acidity- this wine is masterful and will age well for many years. Although it’s not uncommon to find producers in Italy who work mainly with still wines, conducting sparkling wine “experiments” on the side, this bottling is clearly way more than a side project. I love finding first-class bubbles in unexpected places! “26 years ago, when I decided to take up this Ancient Family Passion of wine-making, I gave myself a goal: To make wine on Etna, from Etna, and to protect the great capacity of the terroir of our mountain! …We stayed straight on this path, and we took no shortcuts. Having been a pharmacist for 42 years prior, I can assure you of the time and effort we took to research and analyze various techniques- all of which were very familiar to me. 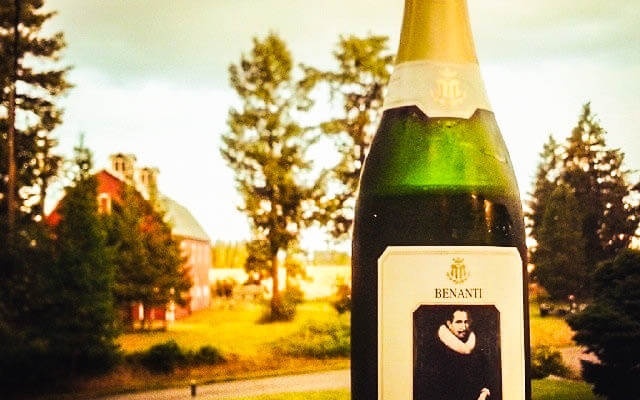 This particular idea to make a sparkling wine using 100% indigenous Etna grapes was first suggested to me by an American gentleman, Mr. Dan Kroemberg of Rochester NY. While tasting our Pietramarina (also 100% Carricante), Dan mentioned that, in respect to the high acidity of our Pietramarina, we might try to produce a sparkling wine from the same Carricante fruit in méthode champenoise (a traditional sparkling method which re-ferments the wine in the bottle in order to obtain the bubbles). After a few years studying and analyzing this process, and with the help of a great wine enthusiast named Joseph Reither Arunda Vivaldi, we have finally arrived at our Noblesse! A proud moment: in 2009 San Francisco with Giuseppe Benanti! Now I reflect on a conversation I had 25 years ago with (Donnafugata’s) Giacomo Rallo, I remember he said to me, “Giuseppe, if you do everything you say you will do, you will have no competition.” And it’s true! 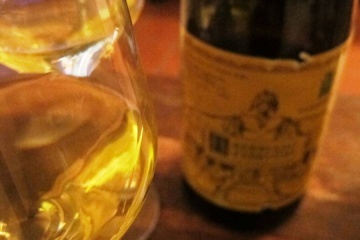 We Etna wineries are not competitors at all. We are all colleagues and it is always Terroir that is our Master. I hope you enjoy this wine! Mille Grazie, Dottore! Thank you for your continued dedication to the real expression of Etna. The wine world wouldn’t be the same without you, my friend! Bravo! I NEED to try this wine…immediately! I guess we need to go pick up some more from Dan! Well, we opened A LOT of wine at your house. Please forgive my memory. Any idea who’s got this here? I believe you need to contact Cristian Valbruzzoli (cvalbruzzoli@lyrawine.com)… Have fun! What a great story and a great post. Thanks for sharing!